Reading Appointments. 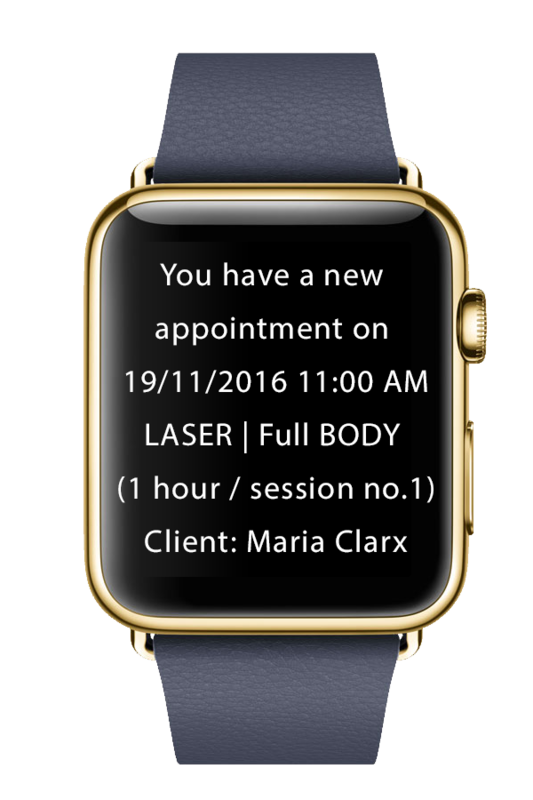 New Appointments, Client Notifications, Client Notes, Behaviour Stars, Appointment protocol, Drinks History, Purchase history, Latest treatments, Custom Notification and many more. You want business notifications but you don’t want to spend tons of time on your phone? Smartwatches sit on your wrist and tell you what’s up. You can peek to see if you just received an important business notification or if you can ignore it. Over everything else, this offers the greatest advantage because you can stay informed while out and about without rudely interrupting activities with your business. You won’t look bored in meetings and you won’t distract other customers. A smartwatch allows you to stay connected and informed without constantly interrupting your business.